Those who doubt America’s commitment to ‘rebalancing’ its strategic priorities to the Asia-Pacific should consider the effort Washington is making to strengthen ties with New Zealand. 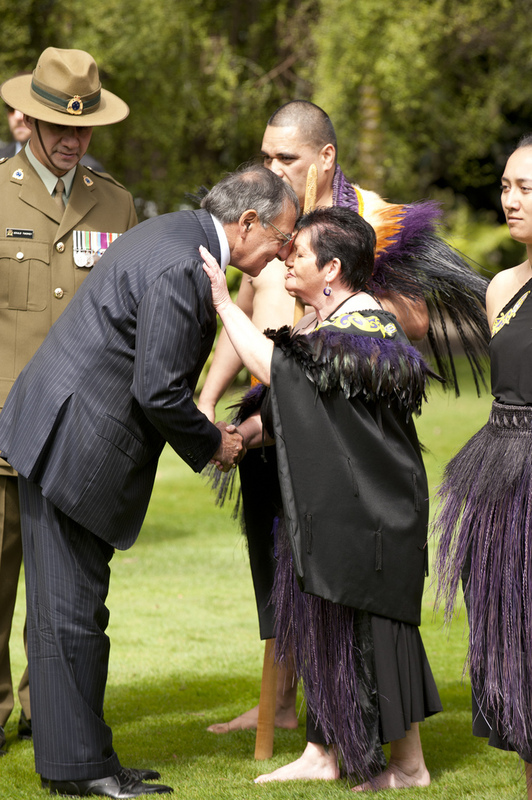 US Defense Secretary Leon Panetta’s visit to Auckland on 21 September culminates a two-year process to bring Wellington back to an alliance-like level of defence cooperation with the United States and, in Panetta’s words, ‘to make a new era’ in relations between the countries. In Auckland Panetta, who had also visited Beijing and Tokyo, ended a reciprocal US ban on the Royal New Zealand Navy visiting US ports; the last time New Zealand participated in a Rim of the Pacific Exercise (RIMPAC) its ships couldn’t enter a US harbour. Now that Panetta has invited the PLA to participate in the next RIMPAC, perhaps in 2014 we’ll see a Kiwi frigate dock alongside a Chinese warship in Pearl Harbour. But New Zealand’s Minister for Defence Jonathan Coleman said that their port access ban would not be rescinded. A policy difference once big enough to break the alliance is now quietly ignored by all parties. Although Wellington’s anti-nuclear port access ban still rankles in some circles in the US Navy, at PACOM and (it must be said) in Canberra, this hasn’t stopped a resurgence of defence cooperation between the US and New Zealand. The Washington Declaration on Defence Cooperation (PDF), signed by Panetta and Coleman on 19 June, sets out plans ‘to focus, strengthen and expand the bilateral relationship.’ This includes a regular strategic dialogue, and a multi-pronged focus on maritime cooperation, including strengthening deployable capabilities, contingency planning for humanitarian assistance and disaster relief, and participating in multilateral defence engagement. The ardour with which the United States has pursued New Zealand has puzzled officials in Canberra, but a warmer relationship is welcome. It remains to think through the implications of this new level of cooperation for all three countries. For Wellington, a return to closer cooperation with the US carries with it the need to meet higher American expectations of its friends and allies. Gone are the days of alliance cooperation sustained by sentimentality about World War II. In this more transactional age an ally is only as credible as its last big commitment to the relationship. In practical terms the New Zealand military will also discover that meeting the demands of basic technical interoperability with the US carries a large price tag. Panetta observed that the two countries were ‘close friends – yesterday, today and tomorrow’ but there will be an increasing cost for the ‘tomorrow’ part. Australia’s bilateral defence relationship with New Zealand is good but our very closeness allows us to be lazy and not push the limits. That’s visible in our less than seamless cooperation in the Pacific; after the 2009 tsunami, for example, our mutual relief efforts towards Tonga and Samoa were as competitive as they were cooperative. Australian Defence White Papers have been devoting less and less space to the relationship as our own priorities have shifted north and as the New Zealand Defence Force became a less capable partner. The next Defence White Paper should revisit the relationship. New Zealand is an important partner in the Pacific and should be encouraged to work more closely with us in Melanesia. In Southeast Asia and beyond, and in multilateral groupings, New Zealand’s independent voice works to Australian interests. There is a lot more that we could do together in strengthening regional strategic cooperation. Much will come down to the budgets available to support a stronger regional presence. For the US the political, diplomatic and military effort needed to strengthen engagement with New Zealand shows what’s necessary on a vast scale to make the Asia-Pacific rebalance sustainable. There is no substitute for regular senior-level engagement. It can’t be thirty years before a Defense Secretary visits New Zealand again. Will we ever see a return to trilateral ANZUS-style cooperation? Something like that will surely have to happen in terms of military cooperation. At the political level, however, both Canberra and Washington get too much out of their bilateral AUSMIN consultations for this to be reformed into an ANZUS meeting. As close as New Zealand and the United States have become, there is still a huge gap between being ‘close friends’ and being alliance partners. And the Kiwis aren’t quite there yet. Peter Jennings is executive director of the Australian Strategic Policy Institute. Image courtesy of Flickr user US Embassy New Zealand.